May see how Yankees speak their minds, And yet are not divided. 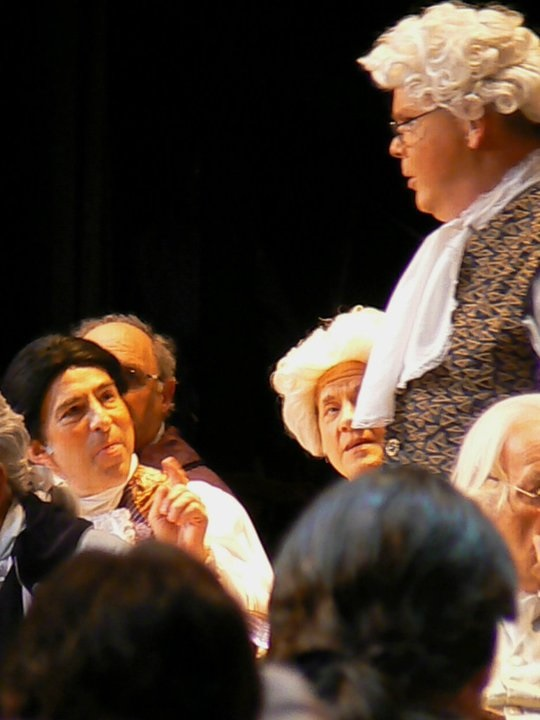 Through hundreds of parodies used for countless political purposes, the song eventually became a symbol for the new country. 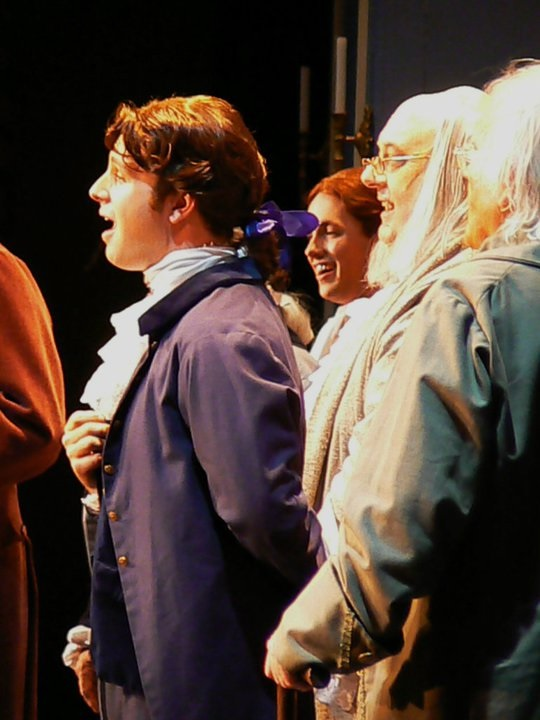 A thread running through the musical, the tune appears in numerous variations and quotes. In 1787, Mozart preferred his artistic freedom to the then-common support system of patronage, which involved censorship. Without copyright protection, as is now international law, others stole his music. 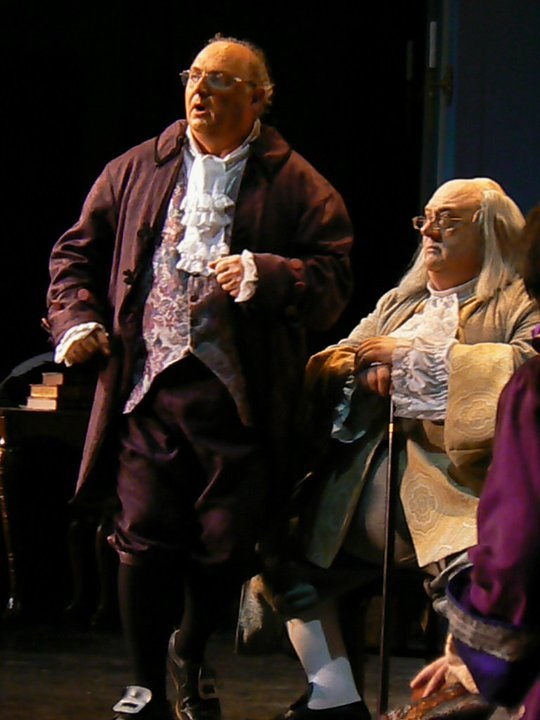 For example, without compensating him, others sometimes performed an instrumental arrangement from his opera the same week it opened! As I repeated the lyrics for Bob’s proposed antics for the pair of delegates from New York – Gone, he’s gone! He’s gone he’s gone he’s gone! – I was struck with the rhythmic fit to Mozart’s Eine Kleine Nachtmusik opening tune. Then I researched to discover that Mozart’s piece had been premiered August, 1787, so I had to use it myself. Rest assured: his music is in public domain, even if he had had today’s copyright. 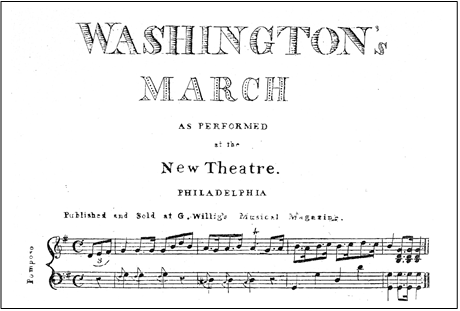 Other borrowed music includes “The British Grenadiers” march, musical quotations from standards of American musical theatre, brief musical reference-quotations to “America, the Beautiful” and “La Marseillaise,” barbershop underscore humming of “Bicycle Built for Two,” a musical quote from the then-popular “Washington’s March” (though significantly changed with alternate harmony, counterpoint and such), the spiritual “Deep River,” and likely other bits of tunes of which I am unaware.